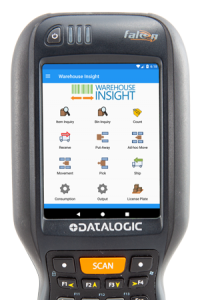 As a mobile warehouse data collection tool, Insight Works’ Warehouse Insight makes battling inefficient operations due to inaccurate warehouse transactions and time-consuming manual tracking problems a thing of the past. However, there’s a unique feature baked into this incredible mobile warehouse management system that many users aren’t aware of – one that helps companies that follow a specific process integrate the process (or processes) within Warehouse Insight itself. It’s known as the Application Designer, and it requires no programming experience in order to take advantage of it. First, let’s go over some of the ways Warehouse Insight relates to applications, as this will give you a better idea how they contribute to proving Warehouse Insight can easily adapt to any warehouse environment. At a high level, Warehouse Insight applications allow users to create customized screens and processes within the handheld application without the need to modify the underlying source or deploy additional files to the handhelds. Applications can be complete, complex and fully standalone modules (for example, existing modules like shipping/receiving) or as simple one dialog processes (like asking for a line comment). The designer events are generally triggered either by actions taken by users (scanning barcodes, pressing menus, etc.) or by specific processes internal to the application framework (opening or closing an application, loading data, etc.). Looking to build your own custom applications in a warehousing environment, such as for Assembly Orders? 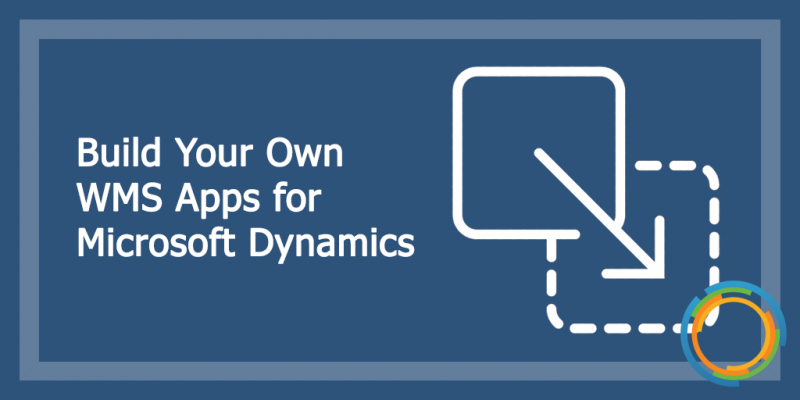 It’s super-simple using Application Designer in Warehouse Insight – the system will load up the application for you, and then you can go on to perform a myriad of actions like, for example, scanning a license plate and capturing a signature for that action. Perhaps best of all, this protocol integrates with NAV, so it’s a natural extension of the solution. Application Designer provides a simple way to add new apps to the warehousing system, or to extend existing apps with new business logic. A simple drag-and-drop interface enables you to build and visualize complex applications and business logic with minimal effort on your behalf, while the system’s plug-in architecture also enables you to extend existing functionality devoid of any product code modification. As leaders in operational productivity improvement through the efficient implementation of add-ons for Microsoft Dynamics, we here at Insight Works have focused our efforts on helping manufacturing, warehousing and distribution entities get the most out of Microsoft Dynamics NAV and Dynamics 365 Business Central. Indeed, to say that our experience has made us experts in project execution and technology development is something of an understatement. Support for a wide range of hardware (including products from Datalogic, Zebra and Honeywell). Advanced features such as Application Designer, which we highlighted in this blog, enable you to extend your NAV system to handle your specific warehouse operation needs. Real-time access to inventory and production data to perform all inventory and management operations from handheld devices as well as capture lot and serial numbers for any transaction. Increased efficiency with everything you need at your fingertips by way of leveraging a consistent user interface on the handheld device regardless of NAV location configuration, as well as scanning directly to sales and purchase documents. Streamlined warehouse operations via palletizing or packaging items while easily configuring views and menus on handheld devices. Learn more about Warehouse Insight by visiting http://WMSforDynamics.com/.